The verdict in the State of New Jersey v. Dharun Ravi has been rendered. Beholden to America's short attention span, often preferring the presumption of guilt, reporters and advocates now sprint to the next story, the next cause, the next simplistic scandal. But each story leaves a legacy, always more complex than we initially imagined, and now we must ask in the case of Dharun Ravi and Tyler Clementi how and if justice was served. 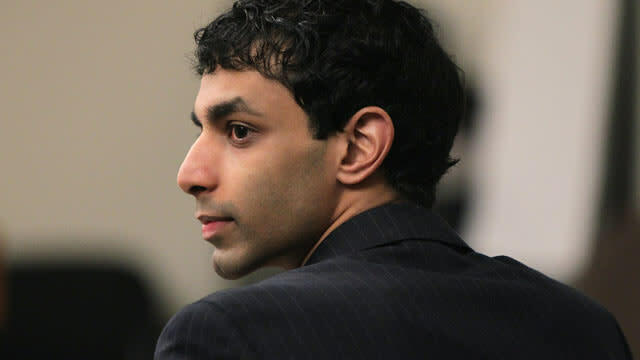 Ravi, 20, now faces up to 10 years in state prison after being found guilty of spying on his Rutgers University roommate Tyler Clementi with a webcam in the fall of 2010 because he was gay. Criminal justice, like the truth, is often a moving target, a trail fraught with booby-traps, roadblocks and dead-end side streets. In America, we appoint guides to lead us down this trail -- escorts with a trained eye who have traveled similar roads and will keep us pointed in the right direction. It's a relay of guides, actually, starting with the lawmakers who in turn arm the law enforcers, who then pass the baton to judges and ultimately a jury. There is no better system in the world, but like any chain, it is as strong as its weakest link. It is hard to fault the jury for their verdict in the Ravi trial. They took their mission seriously and responsibly, and rendered a verdict understandable to their charge. But there were missteps along the way worthy of, at the very least, contemplation. This particular path to justice began in 2001, when New Jersey lawmakers amended the state's hate crimes statute to, among other things, include sexual preference. And here we find the chain's weakest link. The law essentially enhances sentencing for a crime, if bias intimidation, is also proven. It vaguely describes intimidation as "conduct" and "circumstances" that can be perceived as biased. In short: Ravi's invasion of privacy presumes probation; his frame of mind, bias, presumes imprisonment. "Muddled" is the word trial Judge Glenn Berman used to describe the law as he pondered out loud how he would instruct the jury to apply it. "I've read the statute and read the statute more times than I can count," Berman said in open court but after the jury was excused. "I've studied it. The statute, to me, is muddled. If I had written it, I would have written it differently. But I didn't write it. The Legislature did." So, if Judge Berman got carsick reading the statute, imagine how a lay juror felt. It gets more confusing. The first two elements of bias intimidation cite a defendant's "purposeful" or "knowing" actions as criminal conduct. But a third element provides that a defendant can still be found guilty — absent of "purposeful" or "knowing" conduct — as long as the victim "reasonably" feels fear or becomes intimidated. John Fahy, a former New Jersey prosecutor, thinks the very vagueness of the statute provide's Ravi's lawyers with a credible appellate issue. "The principle of fair warning and void-for-vagueness doctrine come into play here," Fahy says. The "fair warning requirement" implicit in the Due Process Clause demands that criminal statutes provide "fair warning" in language that the common world will understand, of what the law intends to do, Fahy explains. A statute can be rendered void and unenforceable if it is too vague for the average citizen to understand. New Jersey state Sen. Joseph Vitale, one of the law's sponsors, thinks the law stood up just fine…. Maybe. "I do feel it was applied appropriately," Vitale told ABC News after the verdict, and then quickly added, "After possible appeals, we'll take a look at the law and what it means. It may have to be addressed." Vitale knows that all too well. It was his hate crime bill that was drafted after the U.S. Supreme Court ruled that New Jersey's hate crime statute at the time was unconstitutional. Middlesex County Prosecutor Alan Kaplan could not have had any idea of the storm that was forming around him when his detectives began investigating Clementi's suicide. But when it became public he was exploring a nexus between Ravi's webcam spying and Clementi's death a few days later, the media was eager to connect the dots and create a firestorm of outrage. Jurors, not journalists, are bound by a presumption of innocence. And in this case, Ravi was instantly anointed the poster boy for gay cyber-bullying. Facts were distorted, misreported and a misinformed public was given an incomplete and inaccurate narrative. Now, Kaplan found himself in the unenviable position of weighing the facts unfolding before him against the national clamor that raged. Gay advocates were demanding Ravi be charged with hate crimes. Celebrities were producing emotional videos, validating the narrative. If he chose not to charge Ravi with hate, the lynch mob would certainly turn on him. His investigators started putting together enough pieces to satisfy a confusing and vague law. So, he punted: Let a jury decide. The baton was passed to Judge Berman. In addition to the stampede of reporters and cameramen headed his way, the judge had other worries. First, there was that "muddled" law awaiting him at the end of the day. It was his unenviable job to explain it to the jury. Then, there was the issue of Clementi's suicide. Though Clementi's suicide had everything to do the indictment, Ravi was not charged with having any connection in his death. Because the case had received so much publicity, he had to tell the jury what almost all of them already knew – that Tyler Clementi had committed suicide. But he forbade lawyers to address that in the trial. Perhaps the biggest anomaly in the case of Dharun Ravi was that pink elephant that stood silently in the middle of the courtroom during the two-week trial. "The judge tells the jury Tyler Clementi committed suicide. But he's not being charged with the suicide, he's not being charged with the death. And evidence is put before this jury, of what he was doing vis-à-vis, Mr. Ravi's Twitter account, the days leading up to his death. Isn't it fair to say that this jury is left with the impression that 'we might be told that he didn't cause the suicide, but aren't we being told he caused the suicide?'" The Ravi jury was told from the outset to "put aside" anything they had ever read, heard or seen about the case. Then they were told not to let Clementi's suicide enter into any of their thinking. And then they were handed a confusing law and asked to deliver justice. "In my opinion I didn't think it was a hate crime until we were presented with an indictment (that explained the law)," said juror Kashad Leverett. But an alternate juror said he disagreed with his colleagues in finding that Ravi was motivated by anti-gay bias, according to published reports. "The rest of the charges I'm kind of up in the air about, but as far as the bias charges, there's no way I would have come back guilty on any of them," said James Downey, who was selected as an alternate juror at the close of Ravi's trial last week. To many, the jury was given an impossible task. To Dubin, the very process of choosing a jury is fundamentally flawed. The fact that only the judge – and not the lawyers – can question prospective jurors makes the process shallow and rote. And it's all for expediency, he says. "The wheels of justice, you always hear, they grind slowly. Why is there always such a rush to pick a jury?" Dubin asks. "It's like a contest. We want to have a jury by noon, we want to have a jury by Friday. … Why should this part of the judicial process be sped up when the rest of it takes so long?" Few reporters cover jury selection, and fewer write about it. But it is a critical piece of due process, Dubin claims. "What motivates my feelings about this case is how passionate I am about the erosion of the presumption of innocence in this country, and how dangerous that is," Dubin says. "You're not able to really probe, to the extent that is necessary, to determine whether or not this person can be fair and impartial, and actually uphold the presumption of innocence. That frightens me, and it should frighten everyone."